Welcome to the Greater Chicago Soap Box Derby Association. Thank-you for visiting our web site. We hope that you find the information we've provided here to be useful, informative and interesting. We will be continually expanding our web site to include updated information and new links. If you have any suggestions for things you would like to see, we encourage you to send us a note via our email address. Thanks and good luck on the track! Help support our organization at Amazon Smile. 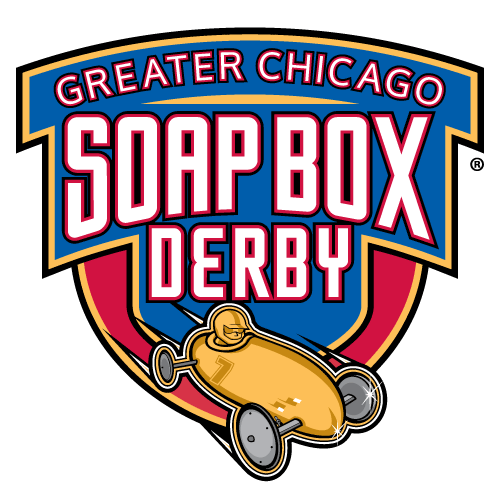 Search for Greater Chicago Soap Box Derby on Amazon Smile and a portion will be donated to support soap box derby racing in Chicago. Share or Like our Facebook Page! Check Out our new Wheel Swap App! Check Out This Drone Footage of Our Race! Thanks for checking out the great and exciting family sport of soap box derby racing. Please visit our site, check out our race schedule and contact us for more info. We hope to see you on the track soon.